It’s the softest sound in the world, and one only occasionally hears it: a flower falling. This morning, sitting in the right place, I heard it. 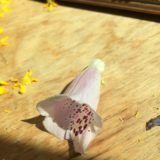 A single foxglove blossom dropped from the arrangement I had placed on a table yesterday. I kept thinking it had something to do with my mother, but I couldn’t put my finger on it. Had she and I been sitting together quietly once, and heard a flower fall, and talked about the sound? It was certainly possible, as we both loved flowers, and had made many bouquets throughout our days, days shared and days separate. It was certainly possible that there could have been one of those dreamlike half-remembered half-forgotten moments. 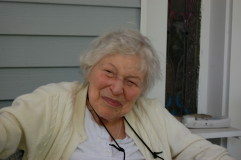 My mother, Charlotte Zolotow, a children’s book writer and editor, died in November of 2013. 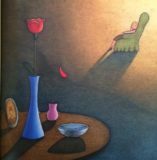 I am her literary executor, and work with her writing: reprints, reissues, foreign rights. All day it niggled at me. Then, suddenly I remembered: there was a reference to the sound of a falling flower one of her books. With almost a hundred published titles, perhaps I can be forgiven for not knowing immediately. I stood in front of the bookcase which holds the copies of all those books and looked over them. None rang a bell visually, but suddenly I could hear the text and I knew: It was her IF YOU LISTEN. Of course! The logical place for a reference to a sound few would have listened to, or heard. The book was first published by Harper & Row in 1980, with gentle illustrations by Marc Simont. Then, in 2002, Running Press reissued it, with more vibrant modern pictures, by Stefano Vitale. Charlotte’s text is breathtakingly lovely in both: sensual, tender, not afraid to express sadness and hope. But its hope is eyes-open: not sugar-coated, not facile. Its hope the reader, like the little girl in the book, has to reach for. She then gives examples of certain kinds of listening, each of which require imaginative attention. But then, I found something else. The copy I’d picked up happened to be one she’d given me, inscribed. These words are a benediction now in a way they were not when I first received them. Because I was too young, and she was too full of need and (I felt) melodrama. Things between us were fraught, always, although we loved each other. A difficult state of affairs that ended only in the last five years of her life. But thankfully — and I am thankful for the astonishment of those last years on a daily basis — that state of uneasiness did end. It was more than “resolve” or “find closure” or “come to peace”, what the two of us finally managed to do. Miraculously, we kind of fell in love with each other. Finally. Almost effortlessly. Without ambivalence, all push-pull ended, we spent time simply delighting in and loving each other. As for her death, it could not have been more quiet, peaceful, and un-melodramatic. It was an ordinary morning in her 98th year, her beloved caregiver Hawa was in the other room, and Charlotte gently left life, alone and private. Exhaled; did not inhale again. “Slipped away,” as the phrase has it. And so, now, three years after her death, I can hear her advice, which I hope to follow. May I do so, as I move through my own late middle age and into old age. 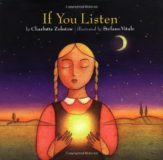 May I listen so deeply I also discover how to let go as easily as Charlotte herself did, finally, like that foxglove flower. 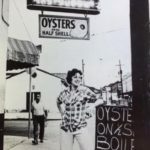 Thank you, Dida… xxxoooxxx — one of the keepers of Charlotte’s legacy. I love how the sound of the flower falling caught (and HELD) your attention that way. All day long, it nudged you, and you followed its prompting. You are “listening inside yourself.” Wouldn’t your mom have loved this? Yes, dear Tandy, she would have!